Just picked up my 2011 whitetail from Shawn Andres and the boys at Alpine Artistry outside Arlee, Mont. 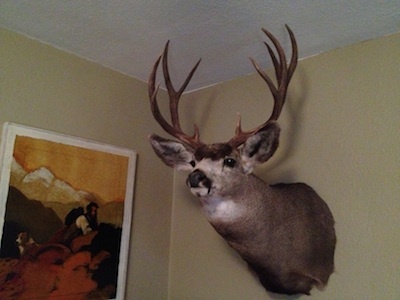 This deer meant a lot to me as I’d been looking for a big whitetail for a long time and I wanted a representative head to hang next to my best mule deer. Plus I got that deer while hunting with a very good friend and my father. I’ll look at that buck for the rest of my life and remember the thrills from that day and the satisfaction that both my father and I had when we walked up on that deer. 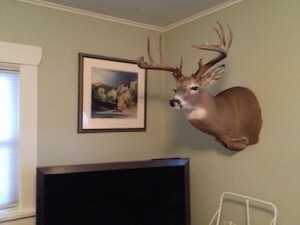 Here’s a shot of the buck and the brother he’ll be hanging next to. This entry was posted in Hunting, Montana, Northern Rockies. Bookmark the permalink.